We are excited to announce an addition to our 2013 Carriage House Concert Series lineup: Alt-rock icons Cowboy Junkies will perform on Friday, May 3, at 8pm! 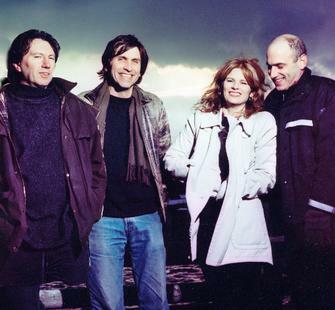 For more than 20 years, the Cowboy Junkies have performed around the globe, developing a loyal following of passionate fans. Their recent The Nomad Series was an ambitious project of four albums released over an 18-month period, and was hailed as "gorgeous" by NPR. Don't miss your chance to see them in Montalvo's intimate Carriage House Theatre. Tickets for this great concert are on sale starting TODAY! Click here to purchase online or call the Box Office at 408-961-5858 10am-4pm Mon-Fri. Tickets are selling fast, so don't delay! Be sure to RSVP on Facebook and invite your friends; click here to share the news on Twitter! "Jazz for the 21st Century!" 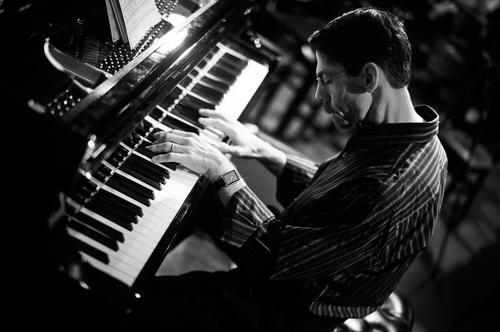 Join us this Sunday, December 16, at 7:30pm, as the Grammy-nominated pianist Fred Hersch will perform in the Carriage House Theatre. Described by Vanity Fair as "the most arrestingly innovative pianist in jazz over the last decade," Hersch's career of over 20 years includes a Guggenheim Fellowship, more than 70 original jazz compositions, and numerous other accolades. Don't miss this opportunity to see a true Piano Master at work! If you're looking for a great gift for music students, why not take advantage of our $15 Student price (valid ID required) for concerts in the Piano Masters Series? Jeffrey Siegel's performance of "Gershwin and Friends" on Saturday, January 19, at 8pm will include short introductions for each piece that give history and context to the music, making it perfect for students. Russian prodigies Natasha Paremski (Sunday, March 3, at 7:30pm) and Ilya Yakushev (Sunday, April 21, at 7:30pm) are both exciting pianists who have mastered their craft at a young age. Purchase tickets to these concerts and more online or call the Box Office at 408-961-5858 10am-4pm Monday-Friday. year-end donation to Montalvo today! See what your gift can do. We have the perfect gift idea for your friend or loved one who loves classical music. 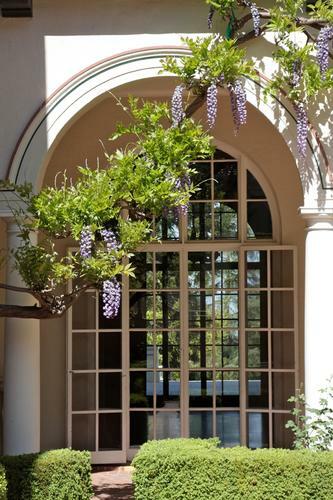 Our Villa Chamber Music Series features six afternoon classical concerts in the intimate setting of the historic Villa overlooking our beautiful garden and grounds. Purchase a subscription of 3 or more concerts in this series, and each ticket is only $20 (more than a 30% savings)! On Sunday, January 13, at 3pm, the Lincoln Trio kicks off the series with their combination of classical and contemporary chamber works. On Sunday, February 10, at 3pm, The St. Michael Trio brings you "The Music of Love" in honor of Valentine's Day. On Sunday, February 21, at 3pm, the award-winning Catalyst Quartet brings their energetic and passionate music to Montalvo. On Sunday, March 10, at 3pm, Classical Jam performs a unique mix of classical pieces, modern works, and original compositions. 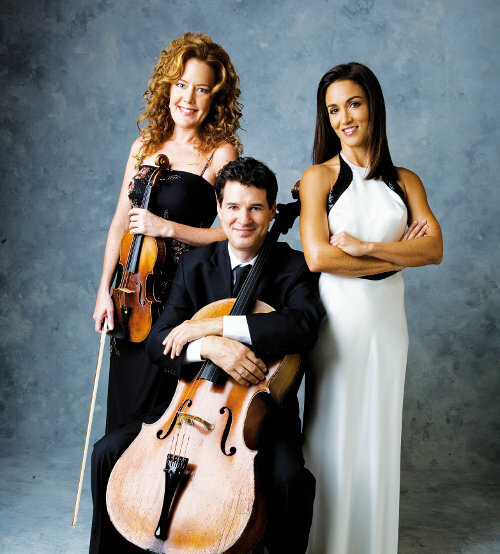 On Sunday, March 24, at 3pm, The St. Michael Trio returns for a look at Debussy, France's master impressionist. On Sunday, April 14, at 3pm, the talented Amphion String Quartet, hailed for their "precision, assertiveness, and vigor," close out the Chamber Music Series. Tickets to these and many more concerts are available online or by calling the Box Office at 408-961-5858 10am-4pm Monday-Friday. Join SFJAZZ for the Grand Opening of their new SFJAZZ Center on Martin Luther King, Jr. Day, Monday, January 21, with a day of free events kicking off a two-week celebration! The new Center is located at Franklin and Fell Streets in San Francisco's Hayes Valley. Learn more at www.sfjazz.org. Jeffrey Siegel Keyboard Conversations: Gershwin & Friends!